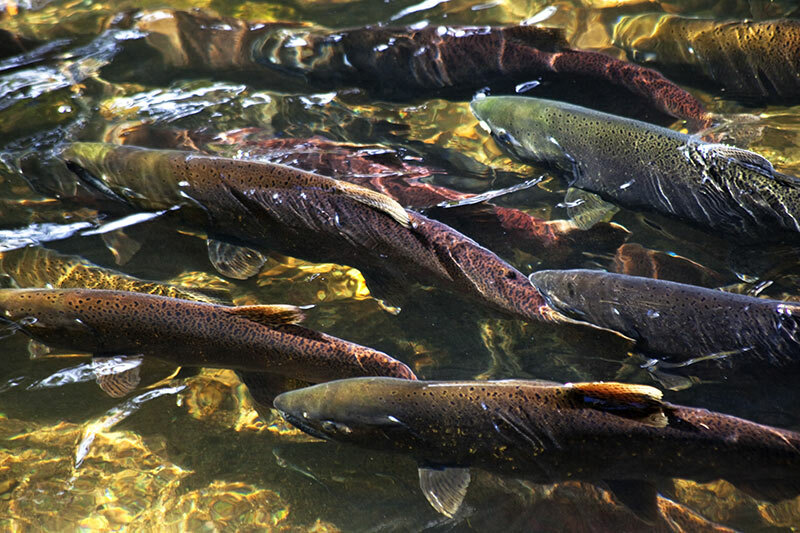 Each fall millions upon millions of salmon return to the coast of British Columbia, and the rivers of their birth. Massive runs of salmon head up the Campbell River on Vancouver Island to their freshwater spawning grounds, including Coho, Steelhead, Chum, Chinook and Pink salmon. 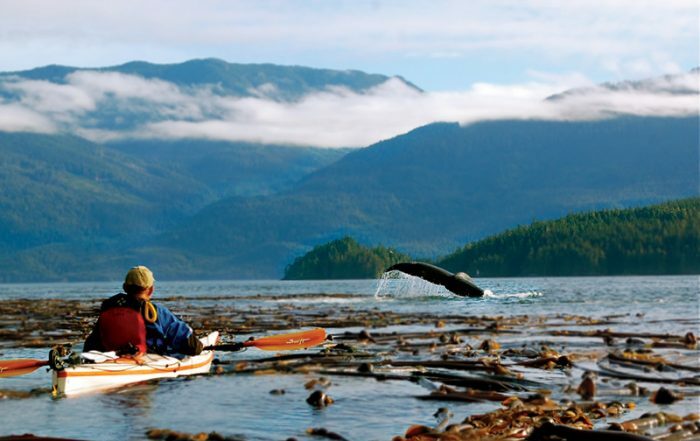 Viewing this natural spectacle from river banks is a wonderful experience, but the migrating salmon can be viewed in a whole different light by snorkelling on the Campbell River. Spawning Chinook Salmon on Vancouver Island, British Columbia, Canada. Half a century ago, Roderick Haig-Brown donned a mask and snorkel to explore the Campbell River and observe its salmon. 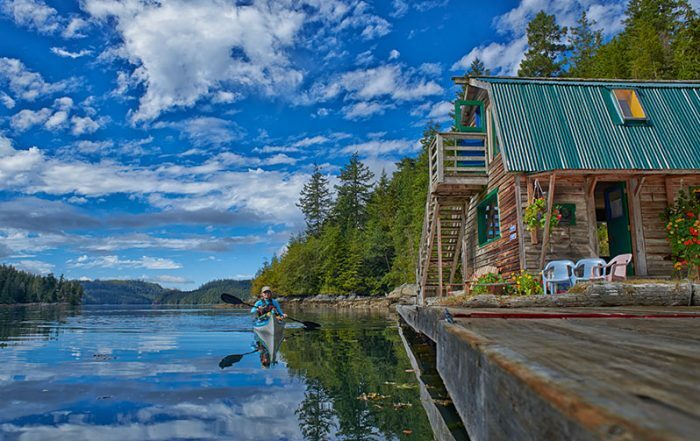 Today, snorkel tours from the town of Campbell River on Central Vancouver Island allow adventurers the sensational opportunity to swim with salmon in their natural habitat as they swim upstream toward the gravel spawning beds. A vital spawning stream, the Campbell River drains 1,460 square kilometres in its journey from Vancouver Island’s rugged interior mountains to where it empties into Discovery Passage. The bottom of the river is rocky, with depths of up to 3 metres (10 feet) in the deeper parts, allowing for easier and unobstructed floating. To protect the shallow gravel spawning beds and avoid disturbing the spawning salmon, snorkellers enter the river below the Quinsam River. The preferred put-in spot at the logging bridge on the Gold River Highway 28 allows easy and safe access to the water from a sandy shoreline and a slow moving pool. 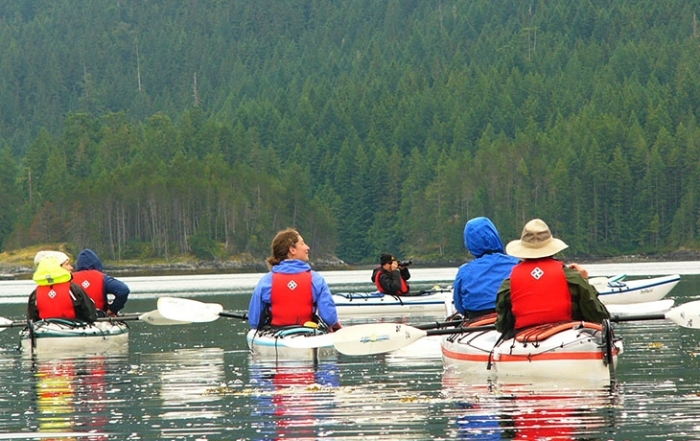 This is a good spot to learn the safety procedures, check your equipment, gear up and get used to your equipment with your guide in the calmer waters. Take out is at the end of maple Street, behind the Quinsam Hotel, or a slow moving deep water tidal pool in the estuary, which is often visited by harbour seals looking for easy prey as salmon get trapped following the tides in and out of the river. The huge rocks that mark the banks of the river make exiting easy. 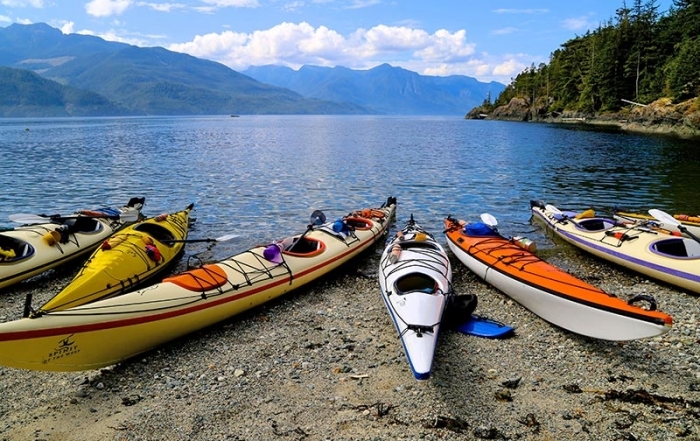 Wet suits are recommended, as the Campbell River isn’t really warm, and the additional flotation enables the snorkeller to float high in the water and be carried over and around obstacles. Lying quietly in the water and drifting with the current will not bother the salmon, and more fish will be seen – splashing and diving will scare them away. Snorkelling is best on sunny days, when the fish are more spectacular in the bright sunlight, with their colouring bright and shining. Trout and crayfish can also be seen. For added enjoyment on this natural adventure, snorkel with a buddy, use common sense and exercise good judgement. Snorkelling in the river is invigorating and thrilling, and the adrenaline rush of encountering a school of giant tyee is a rare experience. One trip down the river is never enough, and the second run is often more enjoyable as the comfort level is higher and you invariably see and notice more. Snorkel tours are run from early July to mid October. 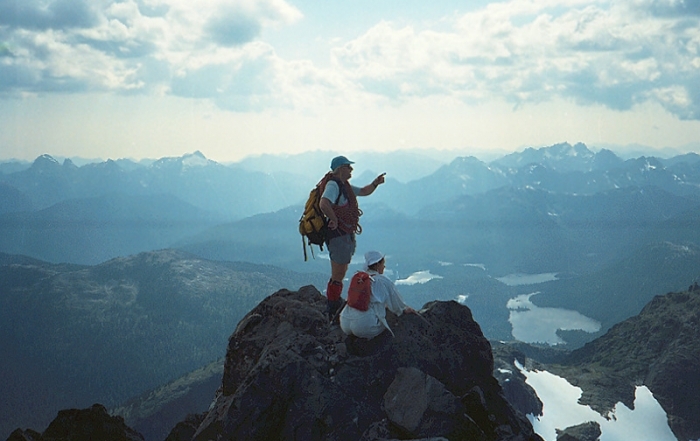 Tour companies are based in Campbell River, and provide all equipment, expert instruction and transportation. You can also rent the gear to float the river – wetsuit, mask, snorkel and fins.